An estimated 2.5 million Canadians live outside Canada. In addition, Canadians make almost 50 million visits abroad each year. They travel or reside overseas to do business, study, visit family or vacation. Most find that their stay abroad is uneventful. Some, however, have the unexpected experience of being subjected to arbitrary and prolonged detention — and sometimes even torture. When Canadians become enmeshed with problematic legal systems in foreign countries, they or their families back home in Canada often turn to a Canadian lawyer to help win their release. Canadian Lawyer explores the challenges that five lawyers recently faced when they acted for Canadians detained abroad. Barry Papazian is a founding partner of the Toronto law firm Papazian Heisey Myers. A litigation specialist, he also does arbitration, domestically and internationally. 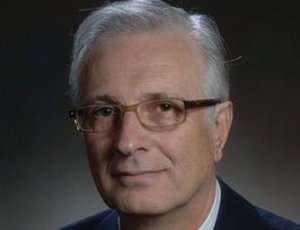 He is the longtime lawyer of transport entrepreneur Cy Tokmakjian and his Concord, Ont.-based Tokmakjian Group. Over 20 years, Tokmakjian had built one of the largest foreign-trade operations in Cuba, employing 200 people. He had even received a business award from Fidel Castro. But in September 2011, at age 71, the respected businessman suddenly became an accused criminal, swept up in the Communist regime’s anti-corruption drive. State security seized US$100 million of the company’s assets (in bank accounts, offices and inventory). Following a two-week trial in June 2014 before the People’s Provincial Tribunal of Havana, Tokmakjian was convicted of bribery, damaging the Cuban economy, illicit economic activity, currency trafficking, fraud and tax evasion. He was sentenced in September 2014 to 15 years in prison. He was expelled to Canada in February 2015 following three years of detention. To do the homework, Papazian assembled a legal “dream team” within the first two months. 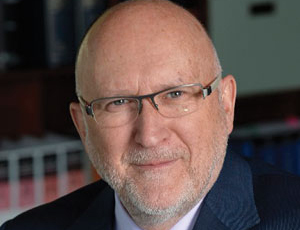 He hired a Spanish expert on the Cuban legal system (which is derived from Spain’s system) at the international commercial law firm of Bird & Bird in Madrid. As local lawyers, he turned to a small Havana firm (one of a limited number allowed by the Cuban state to act for foreigners). He received advice from a former Cuban attorney general and an English-speaking commercial lawyer at the firm. Initially, Papazian was hopeful that Tokmakjian’s release would come through the Cuban judicial process. The prosecution and the defence disagreed on the facts and the numbers. “The differences were huge,” says Papazian. But there were also procedural issues. No clear separation existed between the judges and the prosecution. Expert reports were filed, but the experts were not allowed to testify. Meanwhile, negotiations with Cuban officialdom were ongoing — both before and after the trial. “I tried to educate them as to why what happened was alright, from our perspective.” But the authorities had little understanding of basic Western economic concepts, according to Papazian. They calculated the corporate taxes owed based on revenues instead of profits. The cost of acquiring goods was not considered. 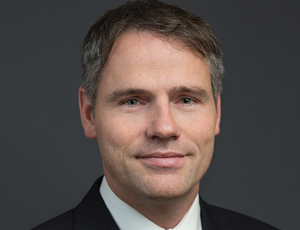 Gary Caroline is a partner at Vancouver-based Caroline + Gislason Lawyers LLP. Gary Caroline and Joanna Gislason are partners at Vancouver-based Caroline + Gislason Lawyers LLP, and practise union-side labour law and human rights. In November, 2014, the pair was asked by a journalist friend to provide advice to someone imprisoned abroad. A few days later, they received a phone call from Mohamed Fahmy, speaking from a guarded hospital room in Cairo, Egypt. Fahmy, the Cairo bureau chief for Al Jazeera’s English network and a dual Egyptian-Canadian citizen, had been arrested in December 2013 with two colleagues while reporting on the Arab Spring. He was serving a seven-year sentence on terrorism charges — principally, belonging to the Muslim Brotherhood, which the Egyptian government considered a terrorist organization. 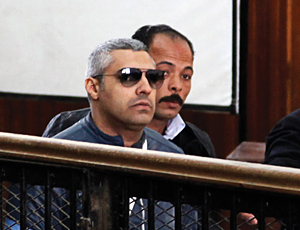 Mohamed Fahmy (in sunglasses) gets ready to speak in Cairo on Feb. 12, 2015, before a judge in court. Working with a well-connected Cairo lawyer, they tried to convince “the powers that be” — the government of Egyptian President Abdel Fattah el-Sisi — that Fahmy was neither a supporter nor a member of the Brotherhood. Fahmy did a series of interviews with the Egyptian media to influence local opinion-makers. On a volunteer basis, Caroline and Gislason organized a Canada-wide campaign for Fahmy. They courted the media and NGOs that defend freedom of expression. They mobilized 300 prominent Canadians to issue an open letter in support of Fahmy in September 2015. They enlisted the help of former prime minister Brian Mulroney. All these efforts were intended to press Ottawa to become more active in seeking Fahmy’s release. As for the political echelon, Caroline doesn’t believe that then-prime minister Stephen Harper intervened in any meaningful way to try to secure Fahmy’s release. “The government saw no advantage in arguing on behalf of a dual citizen who was a Muslim,” he says dismissively. Paul Champ is a litigator at Champ & Associates in Ottawa. Paul Champ is an Ottawa-based litigator at Champ & Associates with a focus on human rights and labour law. He was hired in September 2015 by the family of Libyan-Canadian businessman Salim Alaradi, who had been arrested without charge in the United Arab Emirates in August 2014. Alaradi’s family in Windsor, Ont. hired Champ after receiving evidence that Alaradi was tortured in the early months of his detention. Champ contacted the deputy minister of Foreign Affairs and the head of consular affairs. By mid-October 2015, consular officials were making weekly visits to Alaradi. Salim Alaradi is greeted by family as he arrives at Pearson International Airport in Toronto on June 20, 2016. After spending 17 months in prison — the first three incommunicado — Alaradi was finally charged in January 2016 with funding and co-operating with two Libyan-based terrorist organizations. He was brought before a judge in the state security chamber of the Federal Supreme Court. The terrorism-related charges against Alaradi were dropped in March 2016. He was then charged with the lesser offence of collecting donations without permission of the appropriate ministry and sending them to a foreign country. The UAE Supreme Court ruled last May 30 that the evidence did not meet the charge and acquitted him. Alaradi was allowed to leave the country two days later. A Canadian lawyer, says Champ, has to develop a political strategy as well as a legal strategy when a client is detained in an authoritarian state. That includes striking a “fine balance” between asserting his client’s rights to Foreign Affairs and recognizing that the department’s officials operate with wide discretion in those matters. “If you become too belligerent with Foreign Affairs, they can just disengage. Often, those consular officers are the only lifeline that you have to your client.” He says he maintained a positive relationship with the Canadian diplomats posted to the UAE. Champ also advises reaching out to the foreign government’s diplomats in Canada as early as possible. 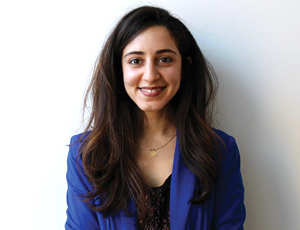 Amanda Ghahremani is a lawyer with the Canadian Centre for International Justice in Montreal. Amanda Ghahremani is a human rights lawyer with the Ottawa-based Canadian Centre for International Justice. Her aunt, retired Concordia University professor Homa Hoodfar, was on a visit to see family and do research in Iran last March when counter-espionage agents of the Revolutionary Guard detained her for questioning — the first of several interrogations — and seized her belongings. She was allowed to post bail but was prohibited from leaving Iran. 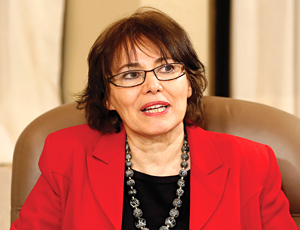 Homa Hoodfar speaks in Ottawa on Nov. 1, 2016. Ghahremani, designated as her aunt’s lawyer in Canada, liaised with her family in Iran, but Hoodfar's family and Iranian lawyer had almost no access to her. At one stage, the presiding judge dismissed the local lawyer and replaced him — without Hoodfar’s consent — with one who was deemed acceptable to plead before the Revolutionary Court. Stymied by Iran’s opaque judicial system, Ghahremani spearheaded an international academic and media campaign to win her aunt’s freedom. She enlisted academic and NGO support not only in Canada but in Pakistan, India, Indonesia, Brazil, Mexico and other countries with ties to Iran. She generated media coverage of her aunt’s plight. She also maintained close contacts with Canada’s Foreign Affairs Department as well as Ireland’s diplomats (her aunt also held Irish citizenship). “I had a full plate already in a very demanding job at the CCIJ, and I had this international campaign that I was running, so in terms of the workload it was the most intense period of my life, with very little sleep. While the trans-national scope of the campaign leveraged Hoodfar’s support network, it also presented a challenge — making sure that everyone who wanted to help received correct information and respected the campaign strategy. A turning point came when Foreign Minister Stéphane Dion raised Hoodfar’s case in a meeting with his Iranian counterpart, Mohammad Javad Zarif, in mid-September in New York, on the sidelines of the UN General Assembly. The following week, after 112 days in detention, Hoodfar was released on humanitarian grounds, including poor health, and deported. Ghahremani accompanied her home from Oman, where Hoodfar spent the first few days recovering following her release. Although Hoodfar’s freedom owed more to outside political pressure than to legal maneuver, Ghahremani considers it important for a Canadian lawyer to become involved when a Canadian’s rights are infringed on abroad. Editor's Note: The online version of this article has been corrected to state that The Canadian Centre for International Justice is based in Ottawa, not Montreal.